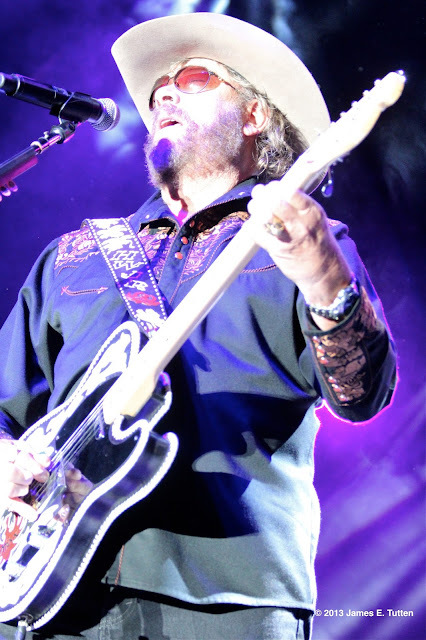 ORLANDO — Country music superstar Hank Williams Jr. performed with high energy and intense attitude from start to finish, during his concert to showcase his latest album "Old School New Rules" at the CFE Arena on Saturday, July 13. Opening up for Williams during this special performance was the iconic southern rocker Gregg Allman from the Allman Brothers Band, who warmed up the crowd with his signature mix of blues and rock n’ roll. This concert was then kicked into high gear as Hank Jr. and his band took the stage by storm and didn’t let up for the rest of the evening. Williams’ on-stage energy is a force to be reckoned with, and he has clearly crafted a wild musical showcase for his fans to experience during his live concerts. Without having to ask, his performance commands the audience to get out of their seats as they dance, cheer, sing and celebrate with songs that are beloved by anyone who has listened to modern country music over the last 30 years. It’s unmistakably clear that a Hank Williams Jr. show is more like a wild celebration than just another concert. He would often change instruments between songs, showing off his musical prowess and refined talent. At one point Williams took a simple small customary fiddle, and played it so ferociously that it seemed like he was trying to saw it in half. If his covers weren’t enough of a crowd pleaser, they were mixed in with his classic hits that easily became the most popular tunes of the evening. Of all the songs performed this evening, the most popular was undeniably his barroom hit “Family Tradition.” A song where the audience sings the entire chorus louder than the singer on stage, and shows that Williams’ music has a strong connection with the fans and a life of it’s own. 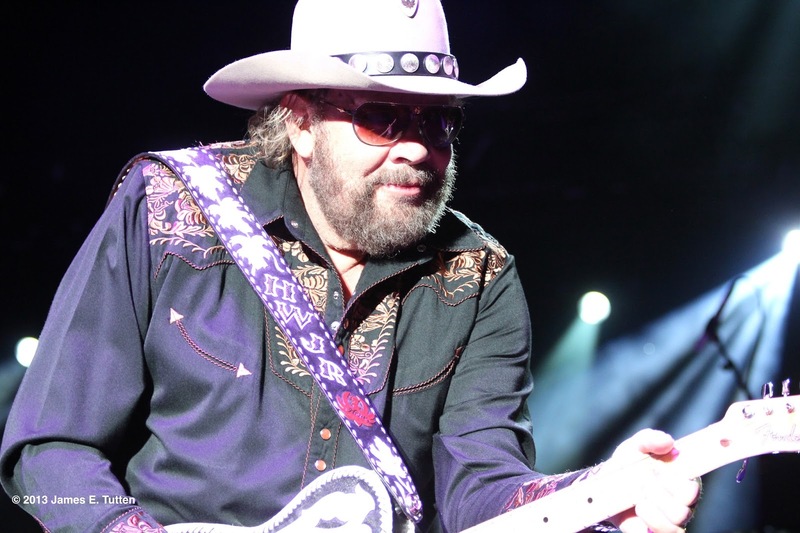 Hank Williams Jr. is well known for his wild live performances and this show was no exception. 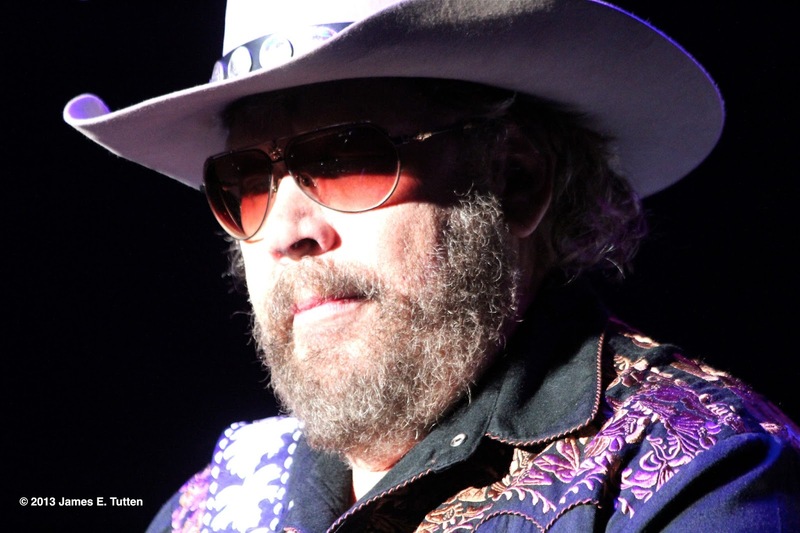 Altogether, this concert was a clinic of classic country and southern rock music, and his rough and rowdy musical style shows no sign of slowing down after over 50 years of performing. His diehard fans will surely continue to idolize their “Old School” hero who has come to embody southern pride and living life to the fullest.